The footballing rumour mill was in overdrive by 7pm last Saturday evening. As the scores filtered in from throughout the league, one name stood out from the rest in Henty’s best players – Zorran Bin Busu. Had Joel Price landed another star recruit from up north? Nobody seemed to have heard of Bin Busu, and for good reason unless you are from the small Western Australian town of Halls Creek. Zorran Bin Busu is the name on Swampie centreman Daniel Cox’s birth certificate. “It’s always been my legal name,” Cox said. “My parents didn’t get on so well when I was a little tacker and when I was born it was a miscommunication between my mum and dad because they weren’t going so well. “Dad decided to go to the registration and put my name down as Zorran and Mum didn’t know anything about it. “She always called me Daniel. “Ever since I was young people from Halls Creek knew me as Daniel. While last year’s Azzi Medal runner-up wants to continue to be called ‘Coxy’, the change was made to avoid any red tape in case of injury. “It could just save confusion with doctors and ambulances and things like that,” he said. “It’s more of a legal thing. In fact, Cox has been full of surprises since returning to Henty last month after spending the off-season in Broome. The other was his hair colour. “My Mrs is a barber so she decided to experiment,” he said. “She first did it a couple of months ago. 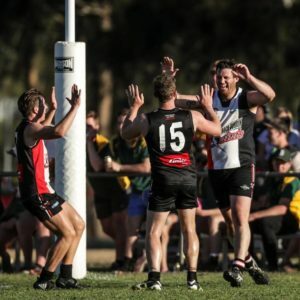 Cox was instrumental in Henty finishing in the top-two at the end of last year’s home and away series and started the season strongly in the Swampies’ 15-point win over Holbrook at Holbrook on Saturday. Cox and Jared Brennan started alongside each other in the centre square with both among the best players on the ground. “It felt like I never left,” he said. “It’s good to be back working and playing footy. Henty took three-and-a-half quarters to shake off a persistent Holbrook and Cox is preparing for an equally tough contest against Osborne at Henty on Saturday. “We were a bit scrappy in the first half, but that’s how it is,” he said. Culcairn coach Josh Hillary was far from disheartened with the Lions opening round loss and is optimistic more positives will emerge against Brock-Burrum at Culcairn on Saturday. Hillary’s line-up had more scoring shots than Osborne but squandered opportunities and paid the price on the scoreboard. “There were a lot of positives to come out of it,” Hillary said. “Osborne is a bloody good outfit and not too many teams will travel to Osborne and get the points. “We had more scoring shots but just didn’t convert. 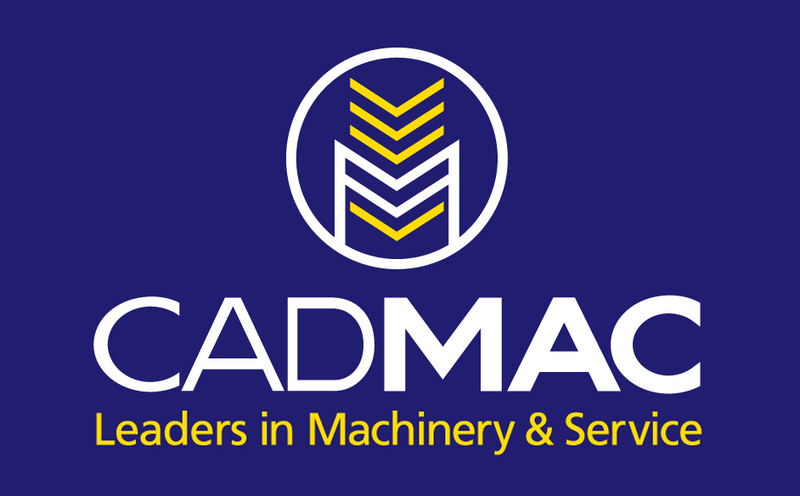 Although the loss of Caleb Simmonds (hamstring) will hurt Culcairn against the reigning premier, the home team has a wealth of runners and will benefit greatly from the absence of Brock-Burrum star Nico Sedgwick. Adam Prior’s clash with former Lavington teammate Jeremy Luff should be another highlight. Lockhart ruckman Neil Irwin will miss Saturday’s crunch match against Billabong Crows. After starring against Murray Magpies last weekend, the mobile big-man will sit out the clash due to a wedding. On round one form, Irwin could be one of the recruits of the season. Demon teammate Ashley Middleton has been suspended for a week for misconduct. Like most leagues, clubs are finding it hard tough for junior numbers. Howlong could only field eight under-17 players against Rand-Walbundrie-Walla at the weekend while Murray Magpies listed 10 players in the under-17s and 12 in the under-14s. Brock-Burrum’s Nico Sedgwick still has another two weeks suspension to serve from last year’s grand final. Sedgwick sat out last weekend’s win over Jindera and will miss vital clashes against Culcairn and Holbrook. The Saints look set to get stronger in coming weeks with running backmen Lachie Boyd and Chris Boulton returning. It didn’t take Spider star Steve Jolliffe long to stake a claim for the bragging rights. 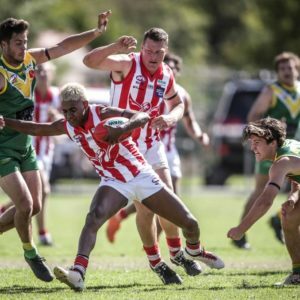 Jolliffe swooped on a ball near the boundary during the second quarter of last weekend’s clash against Rand-Walbundrie-Walla, evaded several opponents and snapped truly over his shoulder. Howlong look a genuine finals contender if it can keep Jolliffe, Matt McDonald, Ben Baker and Peter Hancock up and running in the centre square.